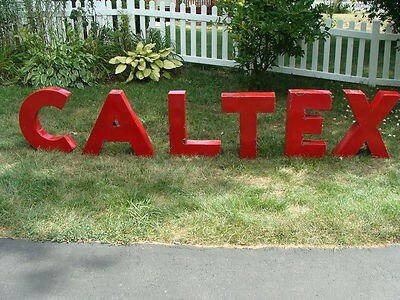 These Caltex letters were likely hung outside of a station or store. The letters are red and would be required to mount individually instead of as a single unit. The letters are, of course, a single sided porcelain sign.